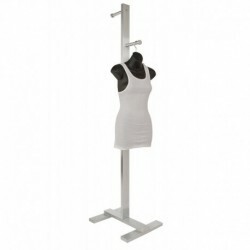 Height Adjustable from 36" to 72"
This unit has holes for the movable arms at 72", 60", 48" and 36" from the floor. 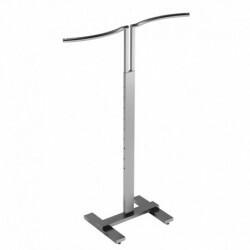 Includes 2 Face-outs that are 6" long x 1" diameter with contemporary "puck" ends. 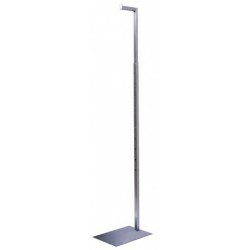 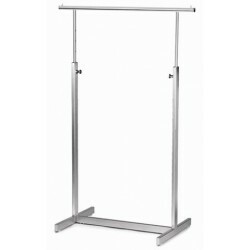 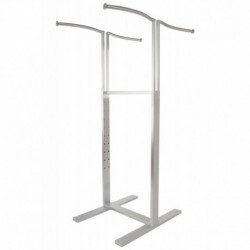 Upright is 74" tall and made from 1"x3" steel tubing with satin chrome finish.